A melismatic subject of sequences with a simple dominant-tonic cadence is treated with juxtaposed insertion and an instance of mensural canon in this little fugue. The score is available as a free PDF download, though any major commercial performance or recording of the work is prohibited without prior arrangement with the composer. 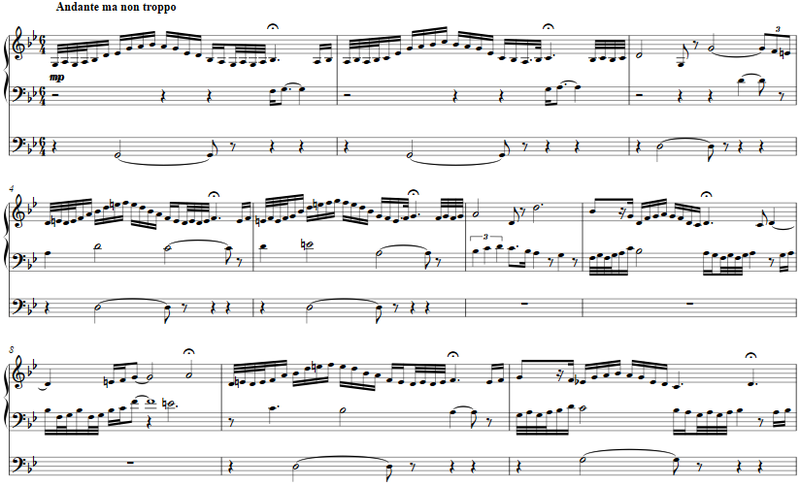 Click on the graphic below for this organ score.